NOTE: This old-style website is still being updated as of April 2019. I will be building a new site at http://radiolocation.weebly.com in the near future. Review of the Princeton Tek APEX headlamp; a great caving lamp! Finally! Front panel wiring sketches for the DQ Receiver and Beacon! Sources for inexpensive high-impedance monaural headphones ideal for radiolocation use or BUILD YOUR OWN! Pictures of Radiolocation and Tracking in Antarctica!!! as of 12/10/17. See below. publication Speleonics, and more, are available for free. Finally a cave radiolocation and thru-the-Earth magnetic communication device that can be assembled by anyone with basic shop and soldering skills, with no test equipment required. Because of their limited vertical and horizontal range, these radios are intended mainly for use in smaller/shallower caves, locating new entrances, and for demonstrations, practice, etc. The performance is modest, but a pair can be constructed in a weekend, and with the two-way capability they are great fun. This radio, named the Basic-1, uses a single dual op-amp IC to perform both receive and transmit (beacon) functions in one unit. The operating frequency is 1750 Hz. Transmit can be either CW (Morse Code) or a beacon pulsing 5 times/second. The loop antennas are 19 inches (48cm) diameter. 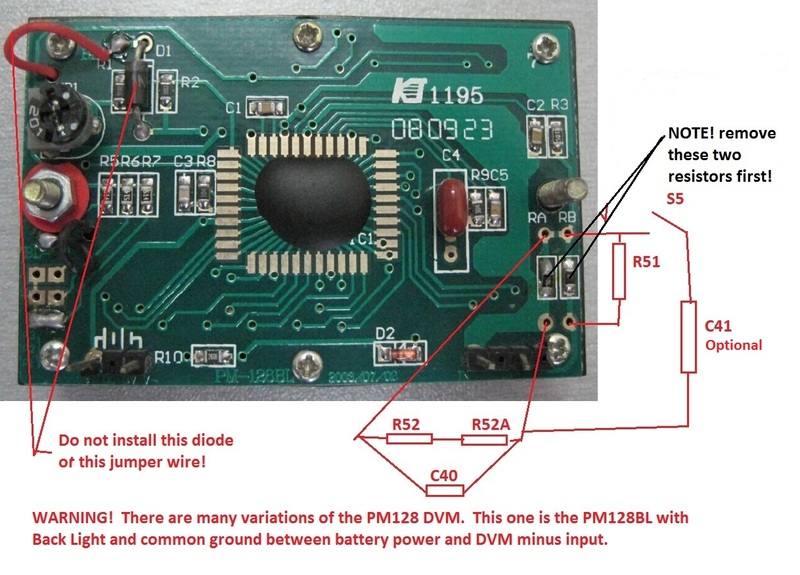 A single 9V radio battery will power a radio for days, even in transmit mode. A pair of Basic-1 radios can communicate straight down through 200 feet (60 meters) of rock in ideal conditions. Accurate Radiolocation (which requires a strong signal for sharp signal nulls) is limited to about 67 feet (20 meters) depth. Another version of this radio, the Basic-2, uses a second dual op-amp and a heavier loop to improve receiver performance and greatly increase the transmitted signal. The Basic-2 costs significantly more to build because of the high cost of copper wire, and has half the battery life, but increases range to 300 feet (90 meters) for communicating and 100 feet (30 meters) depth for radiolocating. The signal drops off as the cube of range (doubling distance drops the signal to 1/8), which makes long ranges difficult with simple equipment. I have assembled several radios and loop antennas that have been range-tested on the surface. During testing in an open field I detected noise from power line harmonics that I eventually traced to a buried wire that I was able to radiolocate and follow for hundreds of feet. The abandoned wire was not connected to AC power at either end. Apparently, magnetic fields and/or earth currents from distant power lines induced current in the wire. Later, I found a second abandoned wire in an adjacent field! This is another good use for a sensitive broadband audio frequency receiver. One successful cave radiolocation test was done with a Basic-1 in less than ideal conditions. I have put together a few kits with most of the required parts including PC board, case, Telex 610 mono 600 Ohm headphones, wire, controls, connectors, knob, and electronic parts, which are 100% thru-hole. Not included is the battery, the bubble levels needed for accurate locating, the loop form, the loop wire, and the optional piezo sounder (a Radio Shack item). Links to documentation for assembly and use are found below. I am looking for feedback to make improvements in the kits and documentation. It would not be difficult for an experienced person to assemble a radio from junk box parts even without the PC board, but some test equipment might be necessary for frequency alignment. I am selling at my cost as a service to the small Cave Radio Community. If there is enough interest, quantity purchases should bring the prices down. The following costs exclude postage. Contact me for a quote at the email address on the bottom of this page. I will take a personal or bank check, or PayPal. PayPal will be 5% extra if you are paying by credit card rather than withdrawing from a PayPal account. Note that you do not need to have a PayPal account to send money. I will send you the name of my PayPal account. A single Basic-1 radio kit is $34.00. You must purchase your own loop wire (~$20.00-$25.00) plus 2 bubble levels (~$4.00) bringing the total cost to ~$58.00 not counting the loop frame, optional piezo sounder, or battery. Note that you you need two Basic-1 radios and loops to do radiolocating, bringing the total to ~$116.00. A single Basic-2 radio kit is $35.00. You must purchase your own loop wire(~$35.00-$45.00) plus 2 bubble levels (~$4.00) bringing the total cost to ~$74.00 not counting the loop frame, optional piezo sounder, or battery. Two Basic-2 outfits will cost ~$148.00. For those with a well stocked junk box, I will sell the PC boards at my cost of $4.25. These are professional epoxy double-sided boards with plated-thru holes. Note that the two parts kits are not interchangeable because the values of the loop tuning capacitors are different. The loop wire gauges are also different. However, the same PC board is used in both kits. NOTES: 7/4/12 For people who have already purchased kits or built radios prior to this date. I have found a minor change that will improve beacon operation of the Basic-2 at high temperatures. Especially if just the piezo speaker is used without headphones, the units may stop "beeping" and go into continuous ON mode at a temperature of 80-90 degrees F. The cure is to add a third 1N914 diode, in the same polarity, in series with diodes D5 and D6. The schematics and parts lists have been updated, and I will include the diode in future kits. The PC board has not been updated. Email me if you can not obtain a diode locally and I will send you one. The Basic-1 kits are not affected. 8/27/13 This circuit has as much gain as possible without feedback and oscillation between the headphones and the loop. It turns out that the 1/4" phone jack must make very good connection with the headphone plug (mainly the ground connection) to prevent coupling (and oscillation) through the operator's body. I have had it happen to me. Even the "hand ground" on the loop is not enough to stop it, but cleaning the contacts works. 6/27/15 While testing on the surface, a Basic-2 radio appeared to be operating in beacon mode, beeping in its piezo sounder, but was not actually producing any real output, even with a separate receiver at 6 inch (15cm) range! I believe the culprit was a dirty contact on the 3-position mode switch, but it now works fine and I have not been able to duplicate the fault. A complete history and technical description of the Basic-1 and Basic-2 radios, including specs, schematics, and parts lists are found in The Simplest Radiolocator. Complete assembly instructions for the kits are found in Constructing the Basic-1 and Basic-2 Radiolocation/communicators from kits. 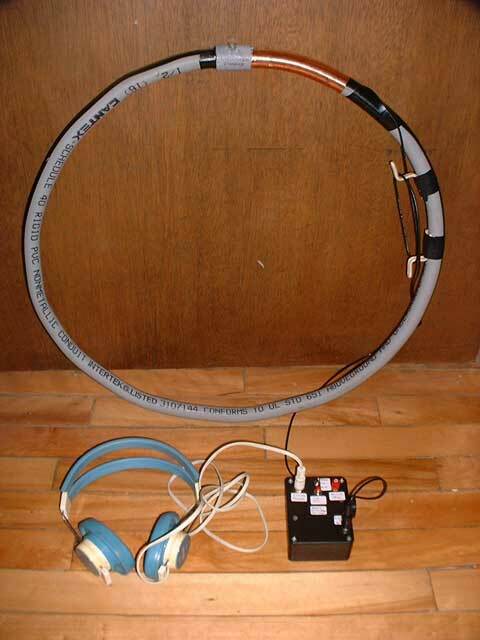 The Basic-2 radios can be constructed with different diameter loop antennas. See the PDF loop antenna table. A French translation including schematics and parts lists is found in the PDF document MONTAGE ET UTILISATION DES BPS BASIC-1 /2 Traduction Dominique ROS. See Locating Ground Zero to understand the shape of the magnetic fields and how to use them to easily locate the point directly over a beacon placed in a cave. Print out the Depth Table to estimate the depth of the cave after locating ground zero. To estimate depth, move horizontally a known distance from ground zero (a distance similar to your guess of the depth is good), then tilt the loop away from ground zero (with loop axis aimed at ground zero) to find the signal null. Measure the tilt angle from vertical; find the d/l value for this angle; then multiply by the distance to ground zero to find the depth. For example if the angle is 20 degrees and ground zero is 10 meters away, the depth would be ~42.4 meters. Practice, practice, practice, before attempting a cave, even inside a 2-story house or barn! I am always available to answer any questions. NEWS FLASH! 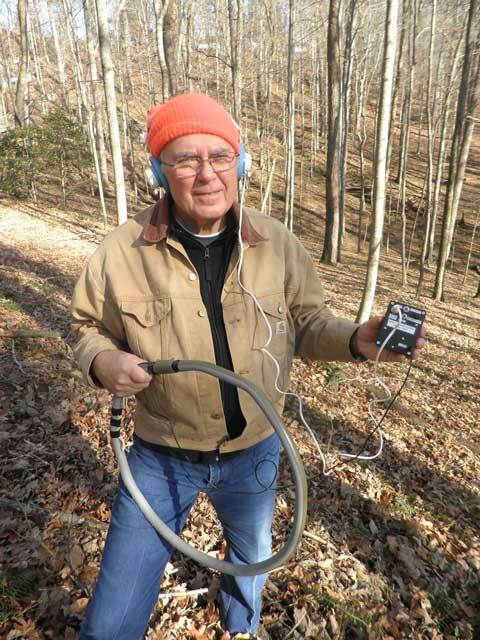 Stan Sides built a pair of Basic-2 radios and in Dec 2013 used them to do a radiolocation in Mammoth Cave at the end of Little Bat Avenue at a depth of about 120 feet. This is the radiolocation depth record for these radios as far as I know. Be Sure to Check out this Website! Visit http://www.floridasprings.org/expedition/dispatch2 to see examples of real-time diver tracking at 300 ft depth with 3496 Hz gear and also 2-way voice comms with a diver through rock using modified 32 KHz gear designed for acoustic comms. Photos, video and audio clips are included. Dispatch3 shows diver tracking at more reasonable depths. For practical reasons, the restaurant and bowling alley tracking were simulated, but the cave really does go right under the alleys! The Website is supported by the State of Florida for educational purposes. A number of cavers in the US and other countries have radiolocation gear and are often willing to help with projects. I loan gear from time to time to cavers familiar with their operation. CREG (UK) has two radio location sets available for loan. A returnable bond is required to cover the cost of any disasters. Although they have no specific policy restricting the loans, practicalities will probably restrict the loan of these sets to Great Britain and possibly Europe. If anyone would like any information regarding the loan of radio-location equipment then please also contact Richard Rushton at <creg@bcra.org.uk>. NEW "2010" PC BOARDS NOW AVAILABLE ONCE AGAIN, at a lower price! Note: The "DQ" receiver and Class-E beacon described here are high-performance long range gear designed for serious radiolocating at great depths, for drilling wells, etc. The new Basic-1 and Basic-2 units are intended for beginners, non-technical cavers, instruction and practice, modest depths, etc. The 3-part DQ boards feature the same 3496 Hz Double Quadrature (DQ) receiver and preamplifier, but have an improved class-E beacon transmitter design with greater than 90% efficiency. A special toroid for the beacon along with the wire to wind it will be included with each board because of the high cost of small quantities of these parts. Detailed information on the new boards and especially the new beacon, along with new loop antenna designs for it, are given here. There is sufficient information on this website to construct and operate the receiver and beacon, and I am available by email to answer questions during construction. I also have separate improved Class-E beacon boards (with toroid and wire) for sale for those wishing to upgrade or add a second beacon. Note on Beacon boards: A few 3-part boards and beacon boards have been shipped recently with a small defect. The holes for C5 (the large electrolytic capacitor) on the beacon board were not drilled. The solution is to drill a small hole for the ground lead, which will tie it to the ground plane on the other side. The + lead can be soldered to the trace on the top side of the board, with the capacitor can laid down horizontally to make soldering easy. I have drilled the hole in the few boards I still have with this defect. The links below are the latest information, just updated. The "Complete Information" 7/30/03 below is out of date for the beacon but mostly OK for the DQ receiver. The "Construction and Use" articles are now quite out of date, but the theory, block diagrams, applications, etc are still useful. NOTES April 2019: I am building two DQ receivers for a project and found that a few parts were hard to obtain. I now have some in stock. I have Motorola MV2109 varactor diodes (with leads) to replace V1. They work really well. I have 8-33pf trimmers for C19. For those that will use 5 CR123 lithium cells for power, I have 78L10 10 volt regulators for U10. I also have a box of NOS PM128-E panel meters, which are ideal for this project, and will work on 7-11 VDC, allowing them to operate directly from the regulated 10 VDC of a CR123 powered receiver. The LF442 low power op-amp is obsolete. The LF412 can be substituted directly. I was able to find a few LF442s on Ebay for my project. When the front panel null control R9 is a single-turn 5k pot, setting the null can be "touchy". If the null occurs near the center of the pot, try shunting a 1k 1% resistor across the 5k element. The other mod that I highly recommend is to slip one or more o-rings over the shaft, then push down on the knob while tightening, to create some drag. This will also help prevent accidental turning in the field. Modifications to a typical PM128 Digital Panel Meter New! Photos of panel and interior of a recent receiver built using recommendations in the new Up-to-date parts list below New! I am selling the boards as a service at my cost. For example, the cost of one 3-part board in US dollars (receiver, preamp, Class-E beacon with toroid and wire) is $29.00 plus First Class postage. I also have separate PC boards for the new Class-E beacon (including the toroid and wire) at $9.00 each plus First Class postage. Email me with any questions such as different quantities, combinations, and I will determine the actual postage cost. Contact me first for availability, and postage cost. PayPal is the preferred way to pay. I will give you my PayPal account name. You do not need to have a PayPal account or sign up for one. You can also send a check made out to Brian Pease (for those in US), or for those in Canada a check drawn on a US bank, or a postal Money Order in US funds. If you wish, I can send you a request for the funds via PayPal, with instructions. The board prices are the same as for the US but postage varies. Just email me to obtain the postal rate for your order. PayPal is strongly preferred. Note that the 2010 PC boards above have superseded these boards. The receiver is the same but there is a new high-efficiency Class-E beacon design. Much of the info is still valid. Front panel wiring sketches for the DQ Receiver and Beacon! New! The theory, construction, and use of a high performance "Cave Radio" is described in a series of articles originally published in Journals of the Cave Radio and Electronics Group of the British Cave Research Association. The purpose of this gear is to locate the precise spot directly above a Beacon transmitter placed in a cave(i.e. Ground Zero), and get a reasonable estimate of its depth below the surface. It is not designed for two-way voice communications such as that needed for Cave Rescue. The Beacon radiates a steady 3496 Hz magnetic field from a precisely horizontal loop placed on the cave floor. On the surface, the Receiver uses a vertical loop to sense the strength and direction of the field in order to home in on the Beacon. The Receiver uses a high gain amplifier driving a modern two channel In-phase/Quadrature detector with a Phase-Locked Loop to achieve a 1 Hz bandwidth and obtain a digital readout of signal strength. Both units are crystal controlled. Horizontal range is on the order of several thousand feet and a depth of nearly 700 feet has been done. The articles have been updated, added to, and corrected where necessary, with changes noted in red text. 3496 Hz Beacon Transmitter & Loop CREG 23, March 1996. The D-Q Beacon Receiver - Overview CERG 24, June 1996. Constructing the 3496 Hz "D-Q" Beacon Receiver CREG 28, June 1997. Determining Depth by Radio-Location: an Extreme Case CREG 27, March 1997. Email comments, questions, and suggestions.